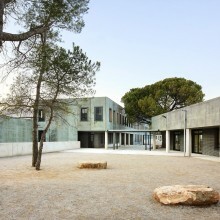 The site for the project is located at the end of the town of Begues. 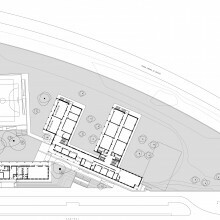 It is a triangular plot, surrounded by the main vehicular circulation belt and the industrial area of the town. 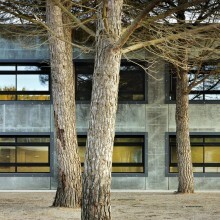 The site is sloped and has a great number of large Mediterranean pine trees. 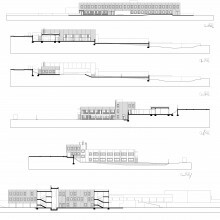 Our proposal steps down the slope, fragmenting into different buildings and platforms, in order to maintain the largest amount of existing trees. 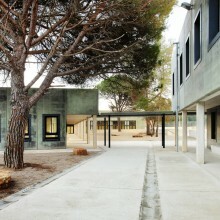 It seeks to integrate them into the open spaces between the built volumes. 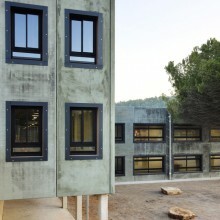 The main access to the compound is through the highest side of the site, the Camí Ral. 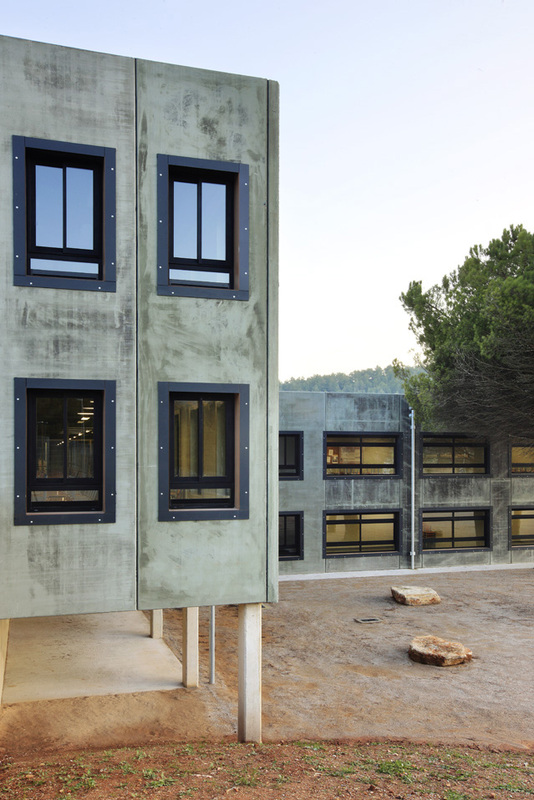 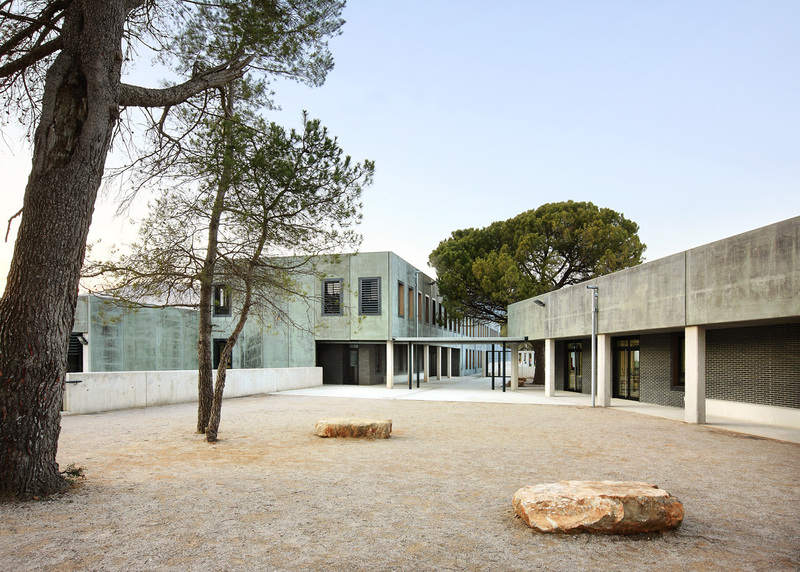 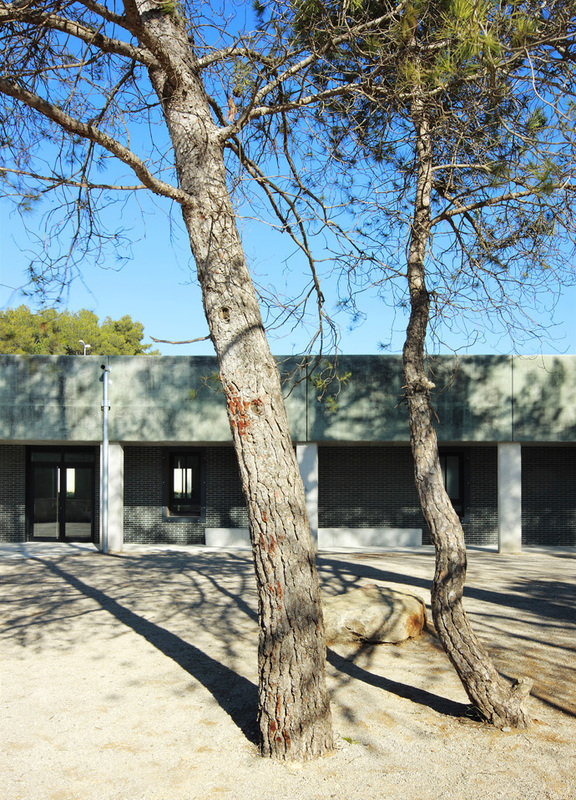 At this point of access, the building detaches itself from the sidewalk and, taking advantage of the site’s topography, creates an entry patio to the school, where the largest saved pine tree is found. 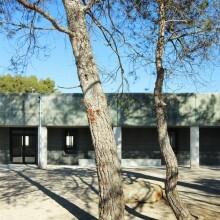 This patio becomes the most charged space of the school, a place for exchange and for meeting before and after class. 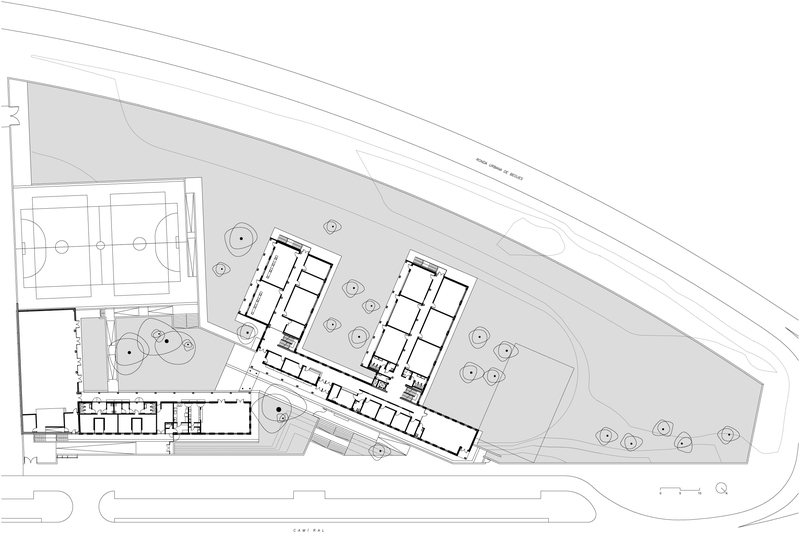 The program is divided between two clearly defined volumes. 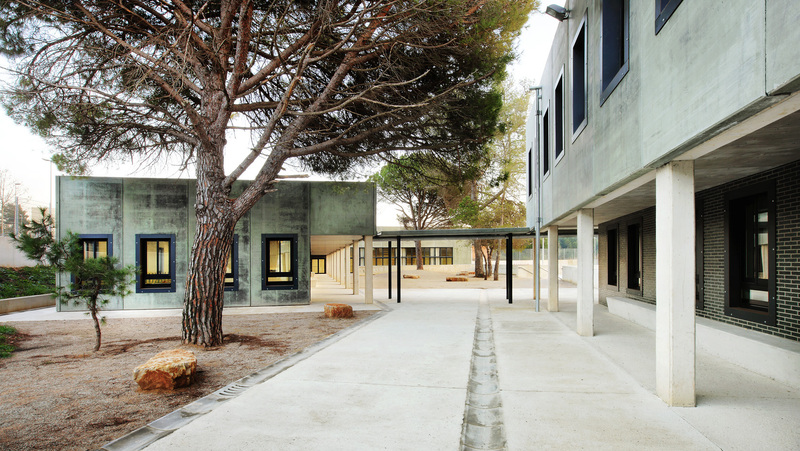 The main building of three levels holds the academic program: classrooms, workshops, administration, teachers and directors’ department and public library. 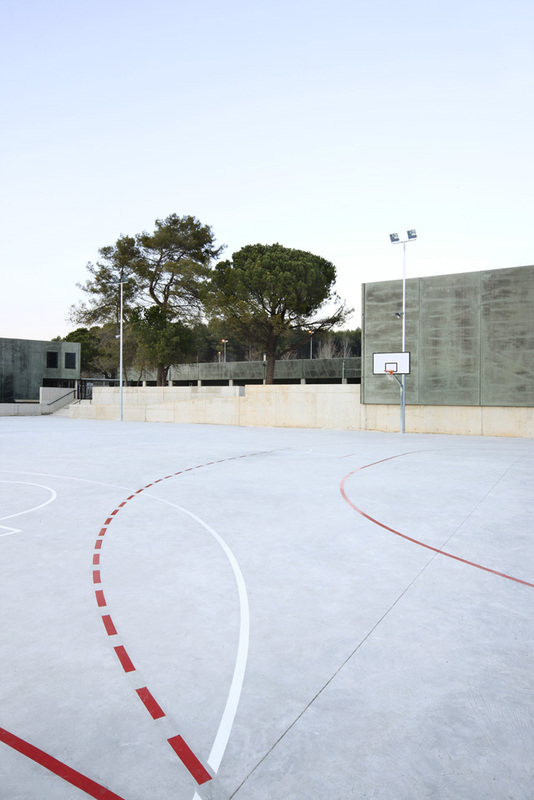 The second building contains the sports program, auditorium and refectory, programs that can be open to the community for outside of class activities. Both buildings are connected by a small canopy which marks the entry to a series of patios of different character, sizes and levels. 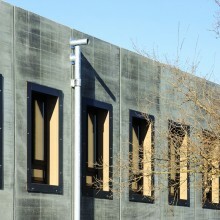 Buildings have a semi-prefabricated concrete structure. 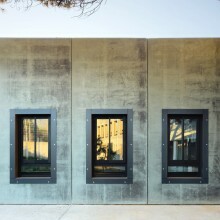 The floor slabs are either of semi-prefab concrete panels or self-bearing double T concrete panels. 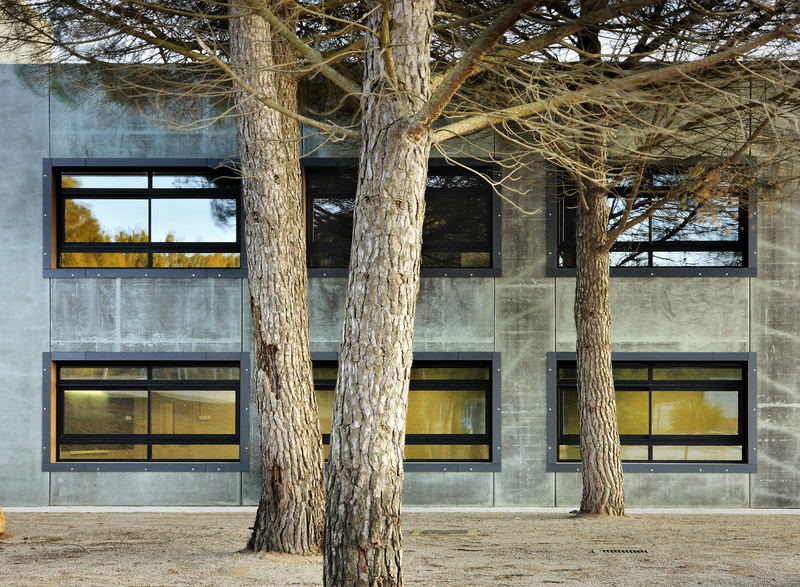 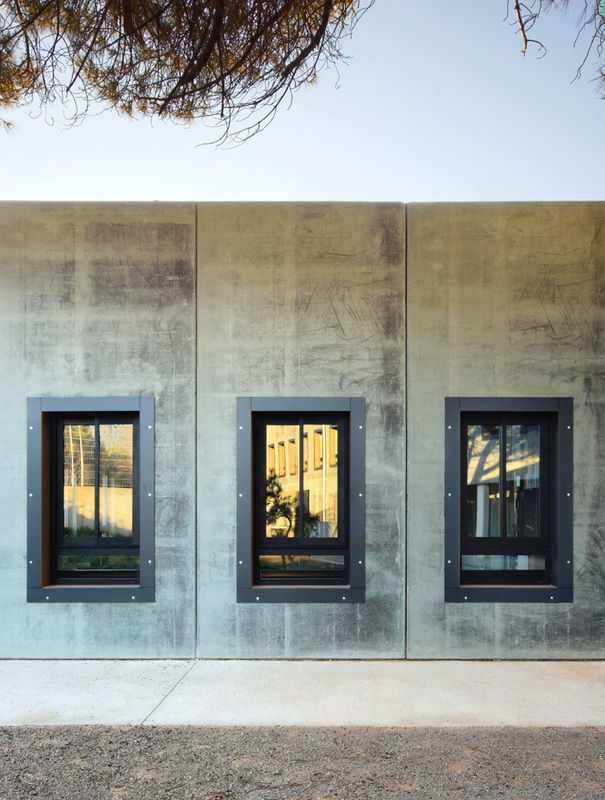 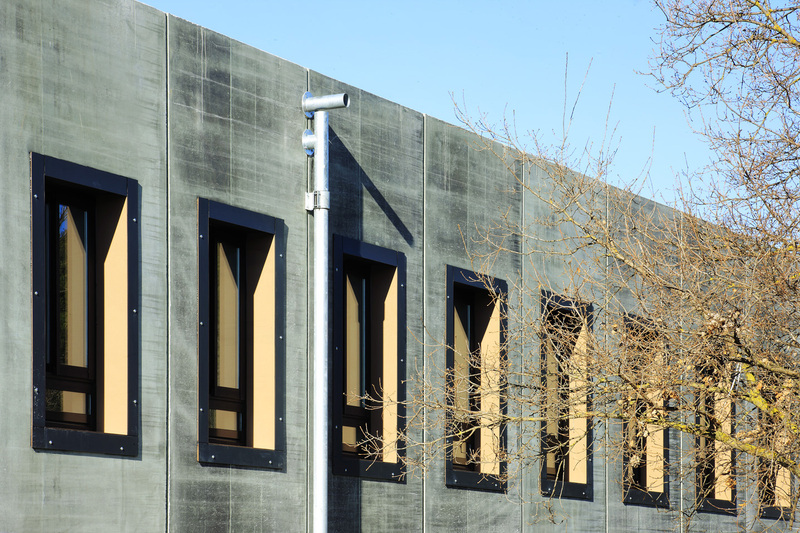 Facades are also prefabricated panels tinted with a mixture of black and green, creating a patina that seeks to integrate the great building mass with the surrounding trees and oaks. 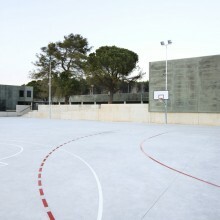 Consultants: Structural: BIS Arquitectes / Mechanical: PGI / Quality surveyor: AT-3 Oller-Peña s.c.p.